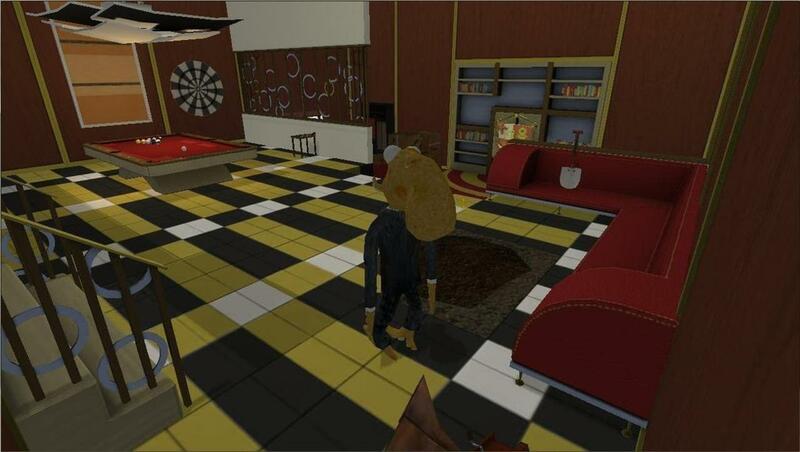 Campaign Successful, new version of Octodad 1 with bonus levels, and the future! - Note: If you have an existing install, please uninstall it first, as you may encounter gameplay issues. All you have to do in order to play these brand new levels is download the new version of the game from our website here. We’ve also updated our server and your downloads should be much better than our old server which was pretty awful. After you get past the treacherous ladder challenge you’ll sneak yourself into the spacious expanses of the mysterious basement to complete Scarlet’s anniversary gift. Well, there goes my day. ...and by day I mean week. It's the width of the shirt flat. I'm guessing that the sizes in the survey are the width of the T-shirt, not chest sizes. Just saw the sizes for the shirts, are they correct? They look like kids sizes. Here's the link to American Apparel's male size chart: http://www.americanapparel.net/sizing/size.asp…. The XXL for your shirts is the same as a XXS for a male. Please rectify! I believe it's possible, but there are currently no plans for it. Hmm... Is there any chance that the first game can be upped to Steam and bundled (probably exclusively, considering it's free-to-play otherwise) with Octodad 2? Sorta like how Breath of Death VII is inextricably tied to Cthulhu Saves the World on that service.